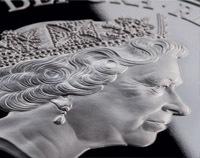 Since 1953, the Queen’s image has adorned British coinage in a beautiful series of portraits that mark her journey to becoming Britain’s oldest and longest reigning monarch. An exceptional new ‘Ten Crown’ coin has been issued, featuring a brand-new portrait by British and Commonwealth coin designer Raphael Maklouf. 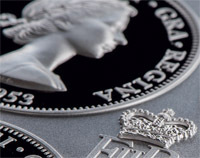 With its impressive 400g weight and extra-large size, almost 16 times larger than a £1 coin, the sheer size of the Ten Crown coin allows for exquisite detail and clarity. Maklouf’s striking new portrait of Her Majesty adorns the obverse of the coin. 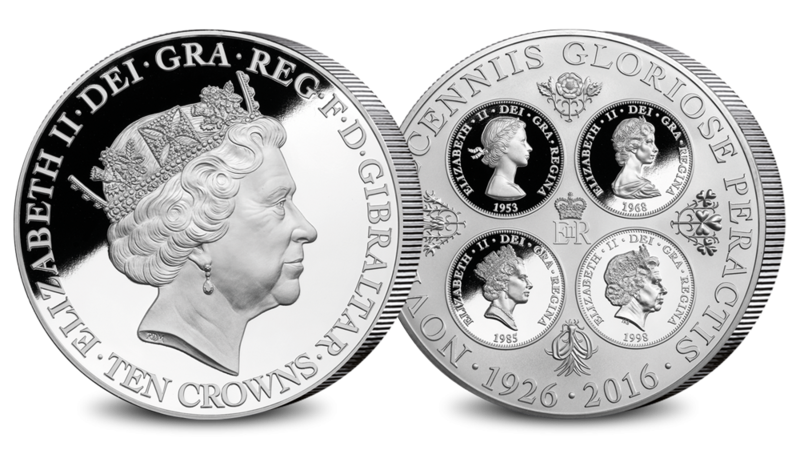 The new effigy by Raphael Maklouf, whose first design appeared on all UK circulating coins between 1985 and 1997, appears on the obverse and depicts a contemporary portrait of the Queen wearing the Royal Diamond Diadem. Owing to the inherent difficulty and skill required to strike a coin of this size and quality, this special collector’s edition has been limited to just 2,016 worldwide, and will never be repeated. 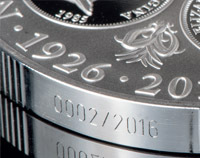 Each coin is individually numbered, making your coin unique to you. The earliest orders will receive the lowest numbers. Being our first time that five official effigies have appeared on a single coin, coupled with an edition limit of just 2,016 worldwide, this special commemorative release will be highly sought after by both new and experienced collectors alike. This exquisite 'Ten Crowns' Coin, is available today with an exclusive offer of 3 interest-free instalments of £99, making it even easier to own. If ordered the first payment would be due and is required on receipt of invoice, or on or before the due date specified on the invoice irrespective of the 14 day returns period. All future instalments will be due on the 15th of the following months.